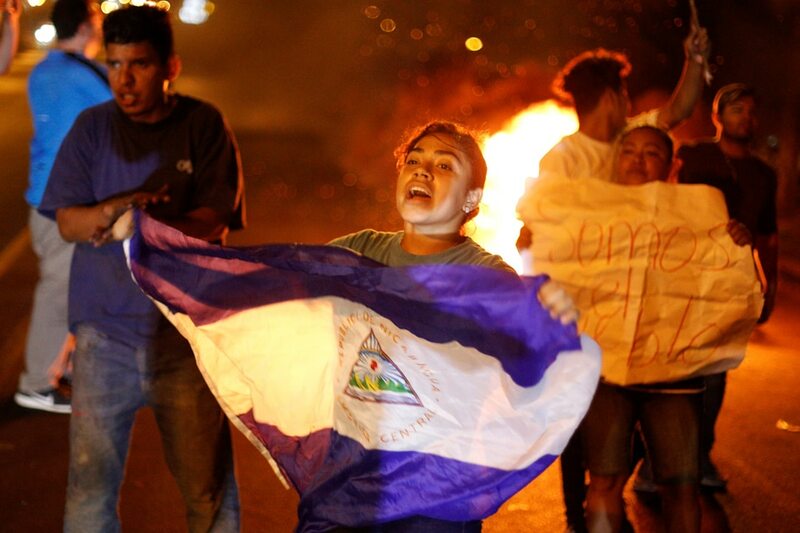 MANAGUA, Nicaragua - Nicaragua's President Daniel Ortega agreed Sunday to scrap a highly-controversial reform of the country's pension law that sparked 4 days of violence, leaving 24 people dead. In talks with business leaders, Ortega said the Nicaraguan Institute for Social Security (INSS) had decided to ax the reform that would have increased employee contributions and reduced benefits in a bid to tamp down on a climbing deficit. The INSS had decided to revoke "the resolution of April 16, which acted as a trigger that started this whole situation," he told them of the measure that would have also increased employer contributions while decreasing the overall pension amount by 5 percent. The protests have been the worst of Ortega's 11-year rule, and the president had tough words for the demonstrators, saying they were behaving like criminal gangs. "This has forced us to put the fight against gangs on our agenda, to fight them so that they don't keep on acting like this, so that they don't keep on killing each other or storming institutions," he said. "We must reestablish order, we will not allow chaos, crime and looting to reign." The government would look for other ways to bring financial stability to the pension system, he said, indicating he would be holding talks on the situation with Managua's Archbishop Leopoldo Brenes.